Riverside, CA – The Board of Trustees of the Mission Inn Foundation proudly announces the selection of Ofelia Valdez-Yeager for the 2019 Frank Miller Civic Achievement Award. This prestigious accolade is presented annually to individuals who have provided outstanding civic leadership, service, and support to the community in the tradition of Frank A. Miller, founder of the Mission Inn. This year’s honoree, Ofelia Valdez-Yeager, has devoted many years to Riverside and the surrounding community. Previous individual honorees of the Frank Miller Civic Achievement Award include Knox Mellon, Tim Hays, Judge Victor Miceli, Peggy Fouke Wortz, Justice John Gabbert, Duane R. Roberts, Art Littleworth, Henry Coil, Jr., S. Sue Johnson, Gary Rawlings, Dr. Charles Beaty, Ron and Marsha Loveridge, Judge Charles Field, Cindy Roth, Joe Tavaglione, Jack B. Clarke, Jr., Dr. and Mrs. Ronald L. Ellis, and Judy Carpenter. In 2018, Gordon Bourns of Bourns Engineering, joined their ranks. Ofelia Valdez-Yeager was born in Tayoltita, Durango, Mexico. After she was born, her father decided to move the family back to the United States. She moved to Tijuana in 1953 where her family of ten waited 5 years for her father to earn enough money to buy a home in Montebello, California. She began her schooling in the first grade speaking no English and finished that first year at the top of her class. Although her parents’ education was limited to the 3rd and 6th grade in Mexico, they always held very high expectations for grades and encouraged her and her brothers and sisters in academic endeavors. Ofelia entered UCR in 1965 with the first group of five EOP students. She was mentored well, worked hard, and graduated with a BA degree in Spanish in 1969. She earned her elementary teaching credential in 1971. In her early working life, Ofelia worked as an Upward Bound residential tutor-counselor, a high school counseling assistant, an elementary school teacher, a bilingual resource teacher, and in several consultant capacities with public agencies. Ofelia’s volunteer commitments took her to leadership positions in Little League, PTA, and in several community organizations through their committees and boards, including the Mission Inn Foundation Board of Trustees. In the mode of Frank Miller, Valdez-Yeager’s involvement in community affairs is legendary. She was elected to the Riverside Unified School District Board of Trustees in 1992; her first publicly elected position and the first Latina ever elected to the local school board. She went on to serve as its Vice President and to extend her city commitments with a part-time position as administrative assistant to the Mayor, focusing on youth, education and crime issues. She also served as the Executive Assistant to the Superintendent of Riverside Unified School District. Ofelia retired as the Chief Administrative Liaison to the Riverside County Superintendent of Schools in 2010. As Past President of the Latino Network, she spearheaded the effort to successfully erect the Cesar E. Chavez Memorial on the Downtown Mall. She also recently chaired the City Measure A Committee and the RUSD Measure O Committee. Currently, Ofelia serves as the Campaign Chair for The Cheech Marin Center for Chicano Art, Culture and Industry. She continues to be involved in numerous boards and committees of local agencies. She is currently the Vice-President of the Riverside Arts Academy, President of the Altura Credit Union Board of Directors, and board member of the Latino Network and the UCR Alumni Association. Ofelia and her husband, Ley, have lived in Riverside since 1965 and have four grown children and 7 grandchildren. 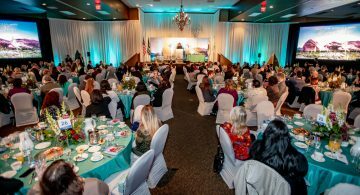 The 2019 Frank Miller Civic Achievement Award will be hosted by the nonprofit Mission Inn Foundation and Museum at the Mission Inn Hotel’s Grand Parisian Ballroom on Wednesday, June 5, 2019 at 6:00 p.m. Tickets are $175/person. 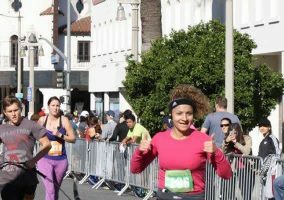 The Mission Inn Foundation is seeking sponsors for the event, and friends and family of Ofelia Valdez-Yeager are invited to submit a congratulatory message for the event program. Contact Danielle Trynoski at trynoski@missioninnmuseum.org for more information. 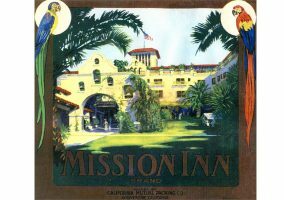 The Mission Inn Foundation was incorporated in 1976 to assist in the preservation and restoration of the Mission Inn Hotel & Spa, and originally, to manage the hotel during ownership by the City of Riverside’s Redevelopment Agency. The Mission Inn Hotel & Spa is now privately owned by Duane and Kelly Roberts, and the Foundation has a unique role of operating a non-profit museum within a for-profit hotel. 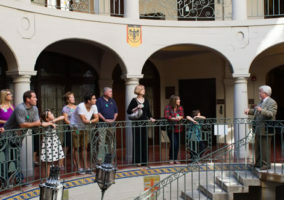 In addition to the museum, the Mission Inn Foundation interprets the history and significance of the Mission Inn through daily hotel tours, monthly public programs and special events, the Hands On History youth educational initiative, and the continued stewardship of the hotel’s expansive art, artifact, and archival collections.